We are an innovative and award-winning facility, where leading-edge scientific findings in skin care and anti-aging are applied in a practical setting, to preserve your skin’s beauty and health. Our clinic operates under strict guidelines outlined by the College of Physicians of Ontario and the College of Nurses of Ontario. All our equipments and products are researched and tested by our own team of experts to ensure only the highest quality. Our excellent team of internationally trained and experienced doctors and registered nurses strive for perfection in their care, and work meticulously as a team to ensure the best results for our clients. Our clinic also offers Platelet Rich Plasma (PRP), Mesotherapy, Acupuncture, Naturopath, Massage therapy and much more. Variety and versatility mandate our services; making it possible for us to treat a broad spectrum of skin types, including darker and tanned skin. At Laser Medical Clinic our mission is to help our clients to feel their best and to be more beautiful and more confident. 1- Offering the best quality treatment at the best price. 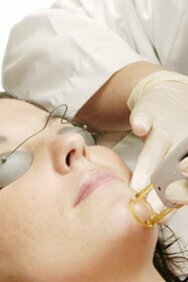 2-Constantly upgrading our equipment to offer the best quality treatments available. 3-Providing top notch customer service by genuinely caring about our clients. Our goal is to treat you, your family and friends, year-round, in an effective and professional manner! We care about the air you breathe. Angle de Beaute Laser Medical Clinic provides a clean indoor air environment for all our patients, clientele & staff.